Do you believe in the power of pets and the special human-animal bond? Loving a pet is a simple concept many of us remember from our childhood. But the joys and benefits of pet care extend beyond the home. 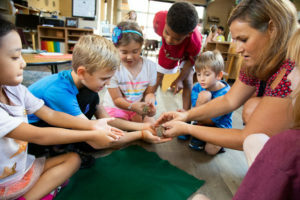 Teachers confirm classroom pets have a lasting impact and offer substantial benefits to the learning process that go far beyond the school year. The Pets in the Classroom program, supported by the Pet Care Trust, has demonstrated that pets bring out students’ creativity, stimulate learning and improve classroom socialization. Pets also promote a sense of responsibility, empathy and compassion for all living creatures. These are necessary skill sets the digital age has negatively impacted that we are establishing successfully through this program. We need your monetary support to ensure that no teacher is denied the opportunity to make his or her classroom a better learning environment with a pet through the Pets in the Classroom program. With your generous support, we can help more children develop the important skills we know they will need to be successful in their adult lives. Pets in the Classroom awarded more than 24,311 Pets in the Classroom grants during the 2017-18 school year alone—and with the support of our donors, we can continue to fulfill our mission of transforming children’s lives through interaction with a classroom pet. Will you join us in extending the benefits of interacting with a pet to all children? *100% of all donations go directly to funding teacher requests.